The best daytime gay place in Copenhagen. Also serves hot food. Very busy on Sunday afternoons for chilling after a late night. Straight tourists often come in without realizing it’s a gay place, which just goes to show how cool Copenhagen is. Tables outside in summer. Be prepared for a long wait to be served at busy times - people placing complex orders for cocktails or coffee creations should beware of the virtual daggers being cast in their direction by others more desperate to quench their thirst. The "place to see and to be seen” if you like that kind of stuff. Reasonably tasty but limited food choices. Good expensive drinks. Oh, like elsewhere in DK you pay your drinks and food at the counter when ordering. Do not get smitten by the flirting of the waiters, mostly straight trying to get good tips. 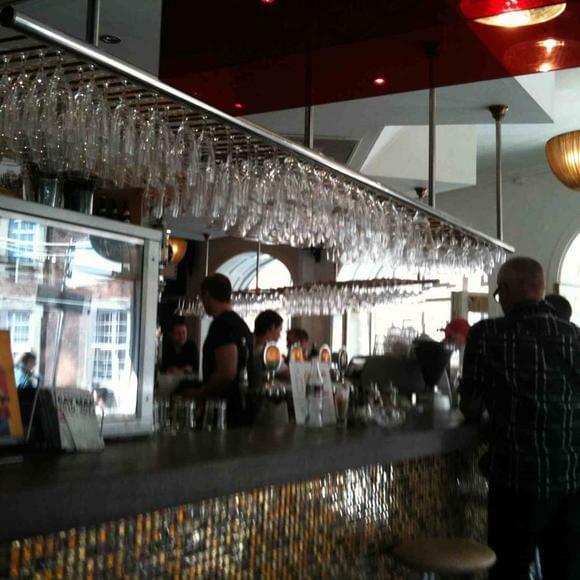 This is the best place in Copenhagen to start your evening and go back to when things slow down elsewhere. The tables out front are perfect for people watching and the crowd spills out onto the street quickly. The bartenders take forever to get to you but it's okay, there's plenty of eye candy to keep you occupied while you wait.